Director Boris Khlebnikov conceived of this film as a modern day Western set in Russia, inspired by the classic High Noon. With that knowledge in mind, you can easily recognize it as such, though for those with less prescience in regards to A Long and Happy Life, most of the ingredients are there for all to see. There's the lone hero, the rough but beautiful landscape, the love affair, the oppressed mob and of course the climactic shootout. All in just 77 minutes. But the aspirations of an American Western aside, this is first and foremost a contemporary Russian social drama. So naturally, things don't proceed as they usually would. Unless you're versed in Russian arthouse, where the plethora of problems plaguing the nation, despite Putin's claims to the contrary, are placed front and center. Then you know full well what's in store. Corruption and the inevitability of its winning the day are the central themes of A Long and Happy Life, as they are in many similar films from Khlebnikovs peers. 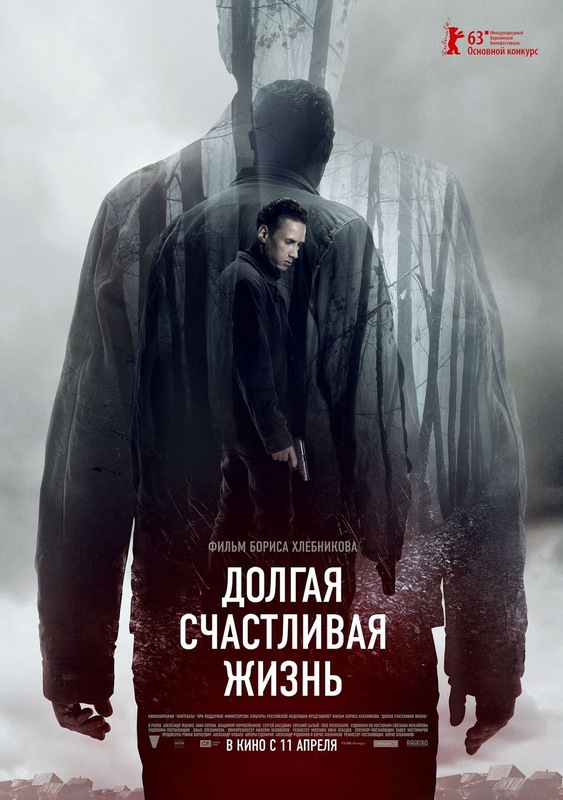 Sascha, who manages a small collective farm in the cold north of Russia, is all too eager to be bought by his superiors to split up the farm so the land can be used for something more productive. The dough gives him the opportunity to abandon this God forsaken place and move to the big city with his girlfriend. However, when the farmers under his command refuse to be moved as the state leaves them with next to nothing if it happens, Sascha's conscience gets in the way of the life from the title he envisioned for himself. Moved by their plight and their trust in him, he resists the officials, refuses the money and fights to keep his farm open. A hopeless battle, he knows, but as an honest man he must fight it anyway. Now, honest men, those are hard to find, so says Khlebnikov in this fatalistic little film. The farmers sure don't turn out to be such men, as they quickly search for ways to get out, each man for himself, with as much money as he can make of it. And so Sascha soon finds himself fighting the good fight all by himself, betrayed by everybody. Tension mounts and it's obvious things cannot end on a happy note, but rather in a violent showdown only. Such is life is Russia these days, according to Khlebnikov. The point is well taken, but would have been better served by a different lead actor. Alexandr Yatsenko is well suited to play a corrupt underling, but makes a feeble impression as a lone hero. He simply lacks the necessary charisma for the part and so we're not sold on his switch from bored city boy wanting to leave the country to rebellious protector of the common folk. Which is also hindered by the small amount of time Khlebnikov puts into things, in obvious pun intended contrast to the title, since this film is naturally far from long and happy. But if you expected it to be, you are likely not familiar with Russian arthouse. Or Westerns for that matter.